Trotwood-Madison Boys Basketball advanced to this week's season-ending state championship, March 21, 2016 at Ohio State University's Schottenstein Center. Top ranked Trotwood-Madison (26-2) will face off with Akron Buchtel (20-7) on Thursday night at 8:00 p.m. while Thornville Sheridan (22-5) will meet up with Columbus South (27-1). The winners will advance to Saturday's state title game which will take place at 2:00 p.m. at the Schottenstein Center. 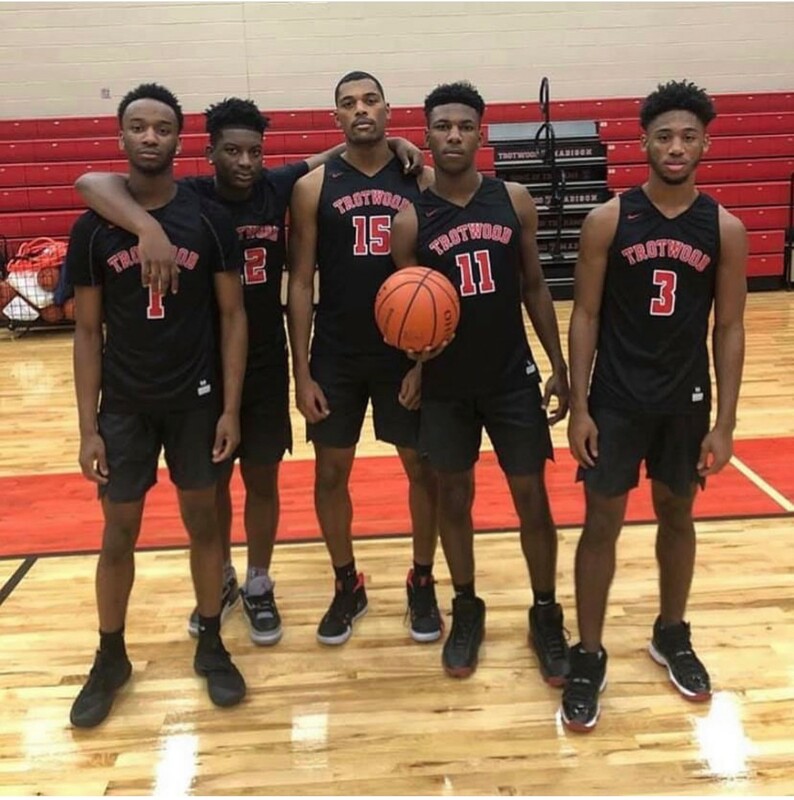 Trotwood will contiune on their basketball tourney trail and this is the third straight state final four for the Rams and fourth in six seasons. As always, Trotwood's lineup is loaded and is proven! It doesn't get any better than four-year senior Trotwood starters Amari Davis (29.1 points, 7.1 rebounds, 6.3 steals) and Justin Stephens (8.4 points, 7.9 rebounds and 3.4 blocks). Davis, a 6-4 lefty guard, signed with Wisconsin-Green Bay while Stephens, a 6-6 center, signed to play tight end at Toledo. We wish our Running Rams much success on Thursday night and can't wait to hold the trophy high on Saturday!